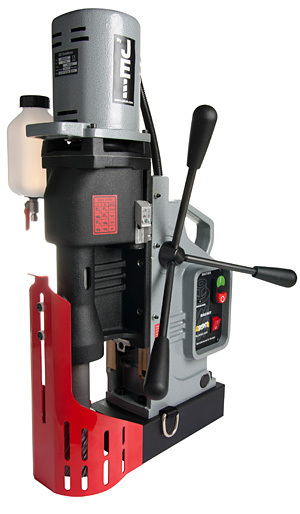 110 and 230 volt and new cordless magnetic drilling machines. 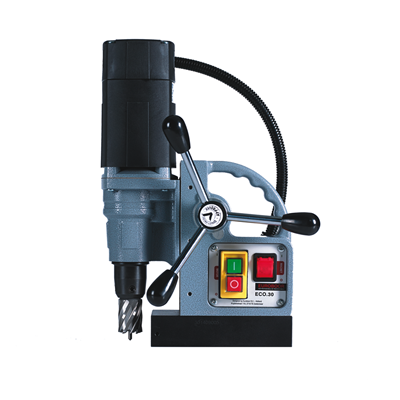 HMT Max 30 Magnetic drill, 30 mm capacity, ideal for TCT cutters. 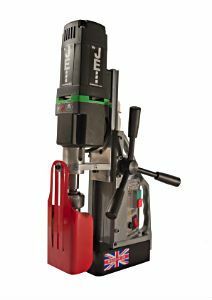 Light weight, high drilling speed, high lift, Ideal for use with TCT cutters up 55mm long . 2 Morse Taper spindle with 52mm cutting capacity . 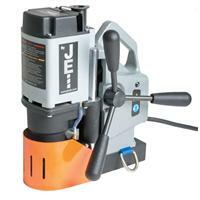 JEI Solutions Slugger Magbeast 4mt, 110mm capacity. 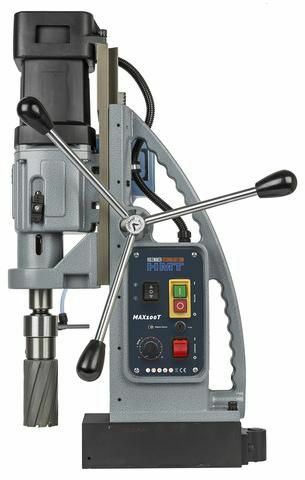 MagBeast 4 - A powerful 4 morse taper, heavy duty magnetic drill. 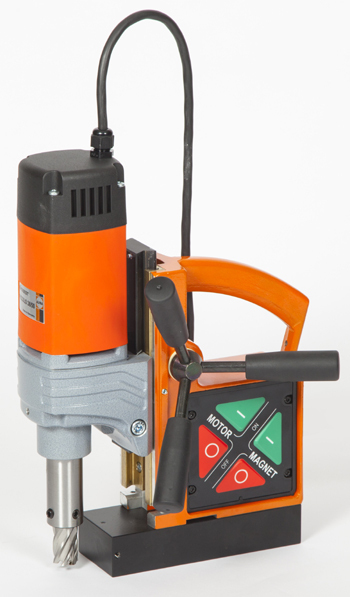 with the ability to adhere to 1mm thick steel.